The gunman was a resident Bakhmutov Donetsk region. A citizen of Ukraine, who previously fought on the side of the militants of the so-called LDNR, he surrendered to the Ukrainian law enforcement agencies. It is known that the gunman was a resident Bakhmutov Donetsk region. He was wanted for participation in illegal armed groups. During the occupation city machine gunners guarded there seized by fighters of the building. 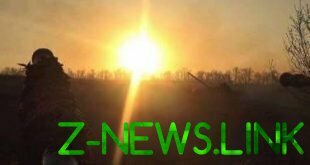 After the release of Bakhmut Ukrainian forces now 45-year-old former militant escaped in the occupied Donetsk, and then through uncontrolled Ukrainian border moved into the Russian Federation. Now, however, he “wanted to get a chance at a normal life”, because we crossed the border and surrendered to the SBU and Bakhmut police Department. In 2014, people under the influence of Russian propaganda entered into gangs. The terrorists have trusted previously convicted for theft to protect its own headquarters, which was a warehouse of “humanitarian aid”. He was captured by the premises of the Prosecutor’s office,— told in police. At the same time for the crimes committed after the escape of militants on the territory of Ukraine was declared wanted. In Russia, however, the gunman did not like – and he was looking for a way to return home. Knowing that in case of voluntary surrender, you can have a chance at release from prison, arrived in Ukraine and appealed to the police. Now investigators are checking human activity in the ranks of an illegal armed formation.